Because lemon is high in vitamin C, it stimulates the production of hydrochloric acid, a critical ingredient needed by our stomach to digest and expel waste. Lemon is loaded with antioxidants that will stimulate the digestive system to flush out toxins in the body. Great for giving your immune system a boost – all that vitamin C works wonders! It keeps your skin looking clear, radiant and gorgeous. Lemons are loaded with antioxidants that will help keep your skin looking clear and young. Lemon is a natural energy booster and will give you the perfect a.m. pick-me-up. If you think you’re hungry, but aren’t sure. Try drinking some warm lemon water – lemons contain a type of fiber called pectin, which keeps you feeling full longer and helps reduce hunger cravings, which in the long run will help you lose weight. Turns out, lemons are also packed with potassium – which is great for keeping your heart in tip top shape. 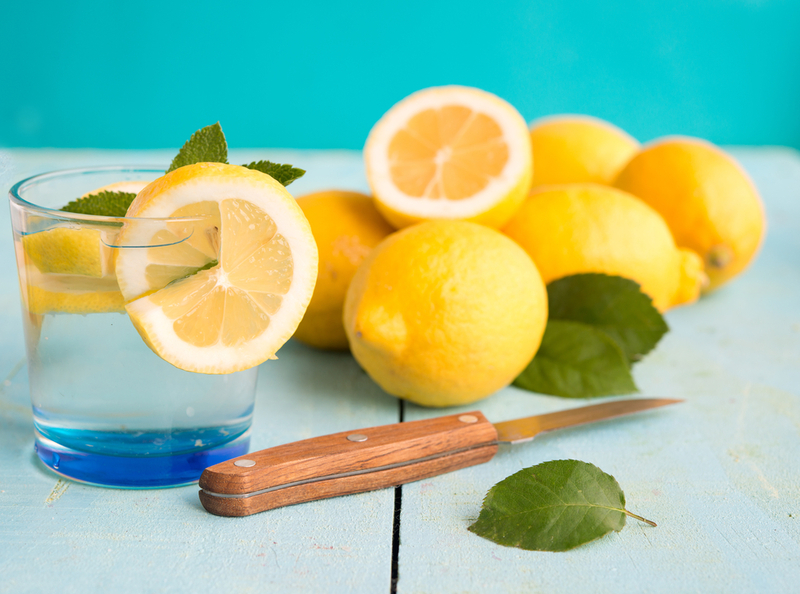 Believe it or not, lemon water can even freshen breath, fight gingivitis and help with the relief of tooth pain. Skip the sugary drinks after a workout and try lemon water instead for loading up on electrolytes and rehydrating – it works wonders!